Henry III became King of England within days of his ninth birthday, inheriting a country embroiled in a bitter, entrenched war with itself. As he grew into adulthood, Henry had to manage the transition to a personal rule, wrenching power from men who had held it almost unchecked for years. Failures abroad led to trouble back in England as restless barons became disillusioned. They found a figurehead in Simon de Montfort, a man who would transform himself to a de facto king. 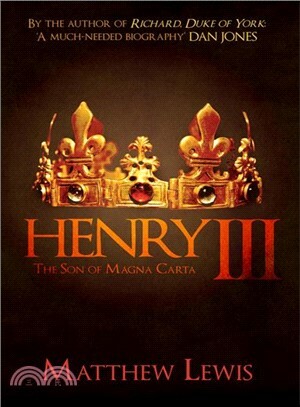 Imprisoned and stripped of his power, Henry would again have to fight for his kingdom, relying on his immensely capable son. Henry's reign would spell over half a century of highs and lows in a country crying out for stability; the final measure of Henry’s achievement displayed in the crown that he left to his son, Edward I.
Matthew Lewis is the author of Richard, Duke of York and The Wars of the Roses.